We provide animal health products to help maximize productivity & profitability. Clear View Enterprises, LLC.  (CVE) is an animal health distribution company located in Tontitown, Arkansas. Our primary focus is wholesale distribution of animal health products. Our Sales and Customer Service staff offers you, the producer, access to over 50 years of service and product knowledge. CVE provides producers with a wide selection of quality, cost-effective products to help maximize health, productivity and profitability. Our goal is to offer you quality service combined with competitive pricing and innovative solutions.